Class Scyphozoa, which includes the cup animals and jellyfishes, is a member of phylum Cnidaria, which is primarily characterized by the possession of stinging cells called cnidocytes. 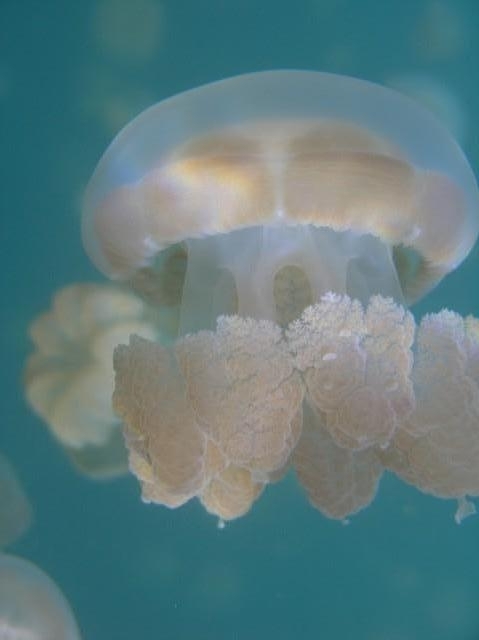 Cnidarians belongs to the kingdom Animalia, more specifically subkingdom Eumetazoan, which includes the radially and bilaterally symmetrical animals with true tissue and organ-level organization. Cnidarian fossils date back to the Ediacaran fauna of the late Precambrian period and are believe to be representative of all classes. Cnidarians are alleged to be closely related to phylum Ctenophora and both were once grouped into a single phylum (phylum Coelenterata) due to the high degree of similarity in body plan of pelagic Cnidarians and Ctenophores (diploblastic and possess a single body opening and cavity). However, it is now widely accepted that the similarity in body plan resulted from convergent rather than divergent evolution. There are approximately 200 extant species of Scyphozoans, representing five orders: Stauromedusae, Coronatae, Seaeostomeae, Rhizostomeae, and Rhizostomatida. 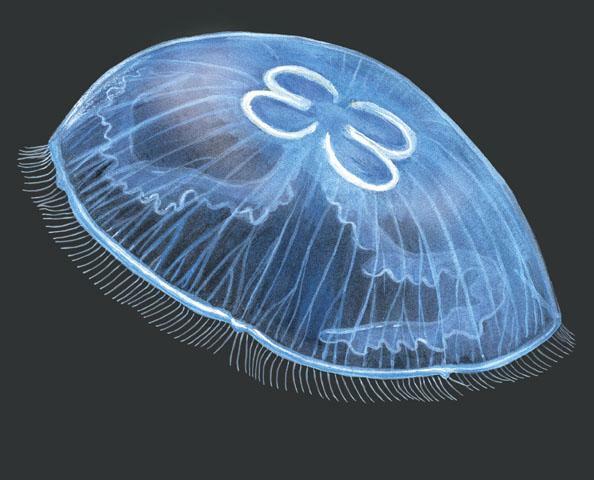 Order Stauromedusae includes the sessile cup-shaped Scyphozoans that lack a free-swimming medusa, Coranatae includes most of the deep-dwelling jellyfishes, and Semaeostomeae the disc jellyfishes. 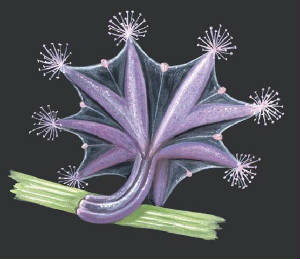 Rhizostomeae lack tentacles and possess eight instead of four oral arms that are fused in the center rather than branched, which allow for multiple mouth openings. Pictures obtained from Morris, M. and D. Fautin. 2001. "Scyphozoa" (On-line). Animal Diversity Web. 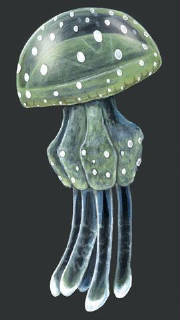 Accessed November 26, 2005 at http://animaldiversity.ummz.umich.edu/site/accounts/information/Scyphozoa.html. 1. They exhibit radial symmerty. Radial symmetry is when the body parts are arranged symmetrically around a central point. 2. They are diploblastic. This means that their bodywall is composed of two layers, an ectoderm and an endoderm. The epidermis is the ectoderm and the gastrodermis is the endoderm. They two layersa are separated by the mesoglea. 4. They undergo alternation of generations. They reproduce both sexually and asexually. This results in the production of both polyps and Medusa. However, the medusa predominates. 5. Gastrovascular Cavity (Coelenteron): forms a blind gut and functions in digestion, as a fluid transport system, hydrostatic skeleton, brood chamber and kidney.